Bundle - 5 items: Brandi Wig by Amore, 15 Page Christy's Wigs Q & A Booklet, 2oz Travel Size Wig Shampoo, Wig Cap & Wide Tooth Comb. 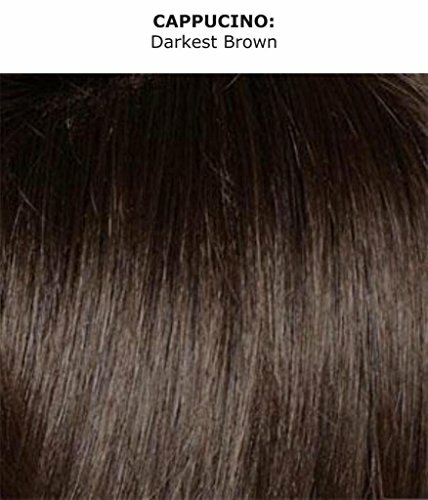 DESCRIPTION: : Brandi Wig by Amore is a beautiful, extra-long style with long flattering layers that frame the face. SPECIAL FEATURES: Monofilament Top - Creates the illusions of natural hair growth and allows you to part the hair in any direction. Adjustable Tabs - Allows you to adjust the circumference. TIPS FROM THE ALTERNATIVE HAIR SPECIALISTS: The included wide tooth comb is the recommended styling tool for this cap construction. Please use the included travel size wig shampoo specifically designed for synthetic fibers to extend the life, and maintain the quality of your synthetic hair wig. The "Q & A with the Alternative Hair Specialists at Christy's Wigs" is an essential guide. 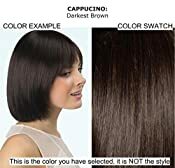 It provides you with all the basics in regards to care and styling for your alternative hair product. It also includes tips on comfort, and how to make your wig look more natural. Bundle - 5 items: Brandi Wig by Amore, 15 Page Christy's Wigs Q & A Booklet, 2oz Travel Size Wig Shampoo, Wig Cap & Wide Tooth Comb. SPECIAL FEATURES: Double Monofilament Top - Creates the illusions of natural hair growth and allows you to part the hair in any direction. The added layer of monofilament material provides extreme comfort. Open sides and back- air can flow through the cap for a light and cool feel. Adjustable- straps at the neckline allow you to loosen or tighten the cap up to a half inch. The "Q & A with the Alternative Hair Specialists at Christy's Wigs" is an essential guide that provides all the basics you need to know on how to care for, style, and treat your alternative hair product, including tips on comfort and how to make your wig look more natural.